The United States and the United Kingdom on Thursday declined to sign a UN document condemning the ongoing human rights abuses in Bahrain. The UN Human Rights Council document, which was signed by major European countries including Germany and France, calls on the Gulf state to do more to protect civil liberties in the country. “We express our concern over the human rights situation in Bahrain, both the violations that took place in February and March 2011 as well as the related ongoing ones,” the document said. “We are particularly concerned about the consequences faced by those who protested for democratic change in a peaceful manner,” it adds. Bahraini forces, backed by Saudi troops, crushed a pro-democracy uprising in early 2011, but protests have reemerged in recent months despite repression. The US has remained quiet on the human rights situation in the country, which is the host of its Fifth Fleet, while condemning government crackdowns in Syria and elsewhere. Bahraini activists have accused global bodies such as the Human Rights Council of being pressured into silence on the issue. Maryam Al-Khawaja, acting head of the Bahrain Center for Human Rights, welcomed the ruling. “This is the first step in showing that the Human Rights Council will not allow the implementation of double standards, although they have allowed it this long,” she said. However she condemned the decision by the US and Britain to not sign the treaty as evidence of “double standards” on human rights. Fourteen members of the Palestine Liberation Army (PLA) have been kidnapped in northern Syria by anti-government armed groups. The incident occurred on Thursday in the city of Aleppo, where gunmen seized and took away the PLA members at gunpoint. There were not immediately any reports about the destination the kidnapped men where transported to. The PLA, considered as the military wing of the Palestine Liberation Organization, was established at the 1964 Arab League summit in Alexandria, with the mission of countering the Israel regime. Syria has always been deemed as in the frontline of the anti-Israeli resistance and has been praised by Palestinians and the Lebanese for its unflagging support for the resistance in the passage of years. The country has been plagued by more than a year of rampant violence and bloodshed, which Damascus blames on terrorist elements funded and masterminded from abroad. In May, Syrian militants abducted 13 Lebanese nationals near the town of Aazaz, which is on the border with Turkey. The Lebanese were returning to Lebanon after visiting Shia shrines in Iran when the militants reportedly hijacked their bus, then kidnapped the men onboard the vehicle. Students in the Canadian province of Quebec have pledged to continue protests after a court rejected a petition to scrap parts of a law that was passed to crush student protest over tuition hikes. The controversial law was passed in May in the wake of clashes between police and students fighting an 82 percent hike in tuition fees in the French speaking province. Students and their lawyers rejected the court’s ruling, saying they would consider appealing. Under Special Law 78, the organizers must inform the police about the timing and locations of marches at least eight hours before they stage a protest. It also allows imposing heavy fines on protesters who fail to do so. Critics believe the law breaches rights of assembly and free expression. Police have arrested many people since the start of the protests more than four month ago. University students and student unions have been protesting since mid-February to draw international attention to the government’s announced plans to raise tuition fees and the passing of the controversial law. China and Singapore will receive exemptions from U.S. sanctions scheduled to go into effect Thursday that would have cut off banks in those countries from the U.S. financial system for handling Iranian oil transactions, a source in the office of Sen. Robert Menendez, D-New Jersey, a source in the office of Sen. Robert Menendez (D-N.J.) tells Security Clearance. Secretary of State Clinton called Senator Menendez earlier today to inform him. Under legislation signed by President Barack Obama In December, the United States will take action against countries that continue buying large volumes of Iranian oil through Iran’s Central Bank by cutting off financial institutions engaged in those transactions from the U.S. banking system. Today I have made the determination that two additional countries, China and Singapore, have significantly reduced their volume of crude oil purchases from Iran. As a result, I will report to the Congress that sanctions pursuant to Section 1245(d)(1) of the National Defense Authorization Act (NDAA) for Fiscal Year 2012 will not apply to their financial institutions for a potentially renewable period of 180 days. A total of 20 world economies have now qualified for such an exception. Their cumulative actions are a clear demonstration to Iran’s government that Iran’s continued violation of its international nuclear obligations carries an enormous economic cost. According to the International Energy Agency (IEA), Iran’s crude oil exports in 2011 were approximately 2.5 million barrels per day, and have dropped to roughly 1.5 million barrels per day, which in real terms means almost $8 billion in lost revenues every quarter. When the European Union oil embargo goes into effect July 1, Iran’s leaders will understand even more fully the urgency of the choice they face and the unity of the international community. Today marks an important milestone in the implementation of the NDAA and U.S. sanctions toward Iran. Following the President’s determinations on March 30 and June 11 on the availability of non-Iranian supplies of oil, as of today, any foreign financial institution based in a country that has not received an NDAA exception is subject to U.S. sanctions if it knowingly conducts a significant transaction with the Central Bank of Iran for the sale or purchase of petroleum or petroleum products to or from Iran. We have been clear all along that there is a path for Iran to fully re-join the global economy. Iran’s leaders have the opportunity to address international concerns by engaging seriously and substantively in negotiations with the P5+1. I urge Iran to demonstrate its willingness to take concrete steps toward resolving the nuclear issue during the expert-level talks scheduled in Istanbul on July 3. Failure to do so will result in continuing pressure and isolation from the international community. On the 1st of July Europe will cease importing oil from Iran and new US sanctions will also come into place. To talk about how this will affect the energy market RT is joined by prize-winning author and energy specialist Daniel Yergin. A group of nine British lawyers lawyers from the fields of human rights, crime and child welfare released the Children in Military Custody report on Tuesday, concluding that Israel is in breach of the United Nations Convention on the Rights of the Child, and the Fourth Geneva Convention in its treatment of Palestinian children. The Report compared Israeli domestic law as it applies to Israeli children, and Israeli military law as it applies to Palestinian children, and found significant differences. 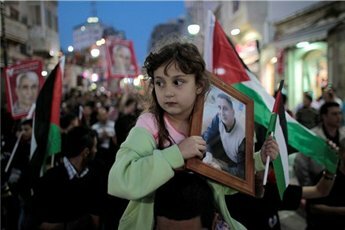 “What is important is that, whatever the offence charged, an Israeli child and a Palestinian child should from start to finish be treated by the Israeli justice system, whether civilian or military in form, according to the same principles and procedures,” the Report states. Practices criticised in the report included discrimination, failure to observe the child’s best interests, premature resort to detention, confining children with adult prisoners, delayed access to lawyers, and the use of shackles. The group also considered that other practices they were informed of, if proven, would constitute cruel, inhuman or degrading treatment. The Report contains a litany of abuses of Palestinian children at every stage of the process, from arrest through interrogation, bail hearings and plea bargains, trial, sentencing, detention and complaints. The details of these detentions, as well as the remand and jail conditions, make horrifying reading. The project was funded by the United Kingdom Foreign and Commonwealth Office, and the reporting group was comprised by The Rt Hon Sir Stephen Sedley, The Rt Hon the Baroness Patricia Scotland of Asthal QC, Frances Oldham QC, Marianna Hildyard QC, Judy Khan QC, Jayne Harrill, Jude Lanchin, Greg Davies and Marc Mason. The stature of the reporting group, and the fact that “a substantial and balanced body of relevant information was collated” from key parties, including Israeli Government departments and the military, Israeli and Palestinian NGOs, UN agencies, former Israeli soldiers and Palestinian children, gives some hope that international pressure will be brought upon Israel to end these illegal and inhumane practices. Whether Israel bows to the pressure, and observes international law, is quite another matter. An Egyptian court has sentenced the country’s former oil minister and a fugitive businessman to 15 years in prison each over selling natural gas to Israel at below-market rates. The Cairo Criminal Court sentenced former oil minister, Sameh Fahmi, and fugitive businessman, Hussein Salem, to 15 years in prison each over the (Israel) gas deal,” a judicial source said on Thursday, AFP reported. According to the source, five other former high-ranking oil and gas officials also received jail sentences ranging from three to 10 years on similar charges. Salem, who fled to Spain after Egypt’s popular revolution in February 2011 that toppled his close friend and the country’s then dictator, Hosni Mubarak, was also sentenced in absentia in October 2011 to seven years in jail for profiteering. Gas exports to Israel were launched in 2008 and came under heavy criticism at the time from Egypt’s then banned Muslim Brotherhood. In December 2010, Israel signed a 20-year contract with Egypt worth more than $10 billion (7.4 billion euros) — much cheaper than global prices — to import Egyptian natural gas. Egypt accounts for roughly 40 percent of Israel’s gas supplies. The Islamic Resistance Movement, Hamas, said on Wednesday that one of its senior members was assassinated in Damascus, blaming the Zionist entity’s secret service for the attack. The announcement, posted on the group’s official website said it was unknown who killed Kamal Ranaja. The statement added that Ranaja “was martyred in the service of his cause and his people,” vowing that his blood would not be wasted. For his part, A Hamas official in Lebanon blamed the Zionist entity’s Mossad for the death of Ranaja. The leader, who spoke on condition of anonymity, said that “a group of people entered the home of Ranaja (also known as Nizar Abu Mujhad), and killed him,” Israeli website Ynet reported. Shortly after the assassination was announced, the new pan-Arabic television station, Al-Mayadeen, reported that he used to serve as aide to Mahmoud al-Mabhouh, a senior Hamas member who was likely killed by Mossad in a hotel in Dubai in the year of 2010. A delegation of senior Hamas politburo officials including Khaled Mashaal and Mousa Abu Marzook is set to arrive in Jordan to attend Ranaja’s funeral. The group was meant to visit Jordan over the weekend or early next week but its members decided to push up their visit in order to attend the funeral. They are slated to meet Jordanian officials and possibly also King Abdullah II. In the second installment of “Rumsfeld’s Lebanon Papers,” Al-Akhbar publishes the minutes of his meetings with the Israeli prime minister and defense minister at the end of 1983. Rumsfeld does not request anything from the Israelis, nor does he interrogate them like he does with Lebanese and Arab counterparts. His meetings with the Israelis are closer to deliberations concerning common interests. In the published documents going back to the period between 2001 and 2006, the most noteworthy seems to be a memo written following the 11 September 2001 attacks. In the memo, Rumsfeld explains his “war on terror” strategy and its main objectives to former US President George W. Bush. It spells out five main steps in the war, including “Syria out of Lebanon.” This came true four years later following the assassination of Lebanese Prime Minister Rafik Hariri on 14 February 2005. Following a shuttle diplomacy tour of the Middle East, Rumsfeld presented the results of his visit to five Democratic and Republican congressmen, in a breakfast meeting on 24 January 1984. Rumsfeld spoke about “state-sponsored terrorism,” “those who don’t share our values,” and “the radical wing” (terms that would be later heard in the Bush era). The US envoy warned about “the radical wing” gaining ground in the Arab world, which is made up of Syria, Iran, Libya, and South Yemen. He tried to convince the participants of the necessity of keeping US forces in Lebanon. “If we decide as a country […] that we can thus use only diplomatic and economic means to pursue mid- to long-range US goals, we will have effectively yielded the field to those who don’t share our values,” he said. He was asked about the reason why US troops should remain in Lebanon although it is not geographically strategic and in circumstances that makes them easy targets for the Soviets and their proxies. “The IDF remains only 23 kilometers from Damascus,” said Rumsfeld. On the other hand, a memo dated 3 February 1984, shows Rumsfeld preparing a secret propaganda campaign to support the implementation of the US’s new plans regarding Lebanon’s security. Rumsfeld said that “Syria and Syrian factions in Lebanon have been winning the public relations battle.” He insisted that the Amin Gemayel government must “unambiguously demonstrate to the world” that they are seeking reconciliation. Rumsfeld suggested that “this might include publicized requests” by Gemayel for PSP leader Walid Jumblatt and Amal leader Nabih Berri to come to the Presidential Palace and meet with him. He proposed that Gemayel gives “a public speech well in advance of any possible military step” to say the government has made an offer for national reconciliation but that “Syria and factional leaders” are the ones blocking it. “In short there needs to be a concentrated public effort to demonstrate that it is Syria that is blocking the political reconciliation process [and] the formation of the GNU [Government of National Unity] […], that is conducting the infiltration into the city of Beirut, [and] that is maintaining artillery within the range of Beirut for political intimidation,” Rumsfeld explained. He proposed that the idea of Lebanon’s inability to confront Syria on its own, therefore it will need US and/or Israeli support, and the only solution remaining is military. “Something must be done to ‘liberate’ Beirut,” Israeli Prime Minister Yitzhak Shamir told US envoy Donald Rumsfeld in a meeting held on 16 January 1983. By “liberate” Shamir meant getting rid of what he called the terrorists. But how? Shamir said that they “must support Gemayel” politically. On the ground, they must get rid of terrorist targets in Beirut and its suburbs, in a manner similar to the attack on what he called an Iranian Revolutionary Guard training camp in Bekaa that led to 30 persons being killed. He stressed that Beirut must be cleaned up and that US-Israeli allies must be protected because they are in constant danger. Shamir warned that Hafez al-Assad will prepare for the “grand war” on Israel after taking control of the PLO. “Syria must also accept the principle that Lebanese territory could not be used by the PLO or the Iranians for terrorist purposes,” he maintained. Rumsfeld also relayed to Shamir that Gemayel was unhappy with Israeli involvement in attempts to create a Druze “mini-state” in the Chouf region. The Israeli PM replied by saying that the Lebanese side must cooperate better. “Gemayel had to realize [that the Druze] wanted to have their piece of the political cake and they had a considerable fighting force to back up their position,” Rumsfeld added. On 17 November 1983, Rumsfeld met with the Israeli Defense Minister Moshe Arens to discuss the Lebanese and Syrian conflicts. Arens believed that “if the US withdraws its Marines [from Beirut], then Gemayel would be finished” and warned of a prolonged war with Hafez al-Assad in Lebanon. “If the worst case eventuates, you will take Amin Gemayel out of Beirut and we will end up having to stay in South Lebanon,” Arens continued. “Gemayel wants it both ways. He wants to attack us publicly while telling us privately that he needs our help. He wants to tell the Syrians that he detests the Israelis but has to keep the agreement in order to get rid of us, while telling us privately to back him up,” Arens maintained. On 30 September 2001, just 19 days after the attacks on New York and Washington DC, Secretary of Defense Donald Rumsfeld sent a memo to President George W. Bush elaborating his “strategic thoughts” on the “war on terrorism,” which should be implemented without haste. The second practical suggestion was to conduct “some air strikes against al-Qaeda and Taliban targets” in Afghanistan soon. “We should avoid as much as possible creating images of Americans killing Muslims until we have set the political stage that the people we are going after are the enemies of the Muslims themselves,” he stressed. “If the war does not significantly change the world’s political map, the US will not achieve its aim,” he maintained. – Syria out of Lebanon. – Dismantlement or destruction of WMD capabilities [in two countries whose names have been removed]. – End of [name removed] support to terrorism.